It is often stated but certainly true that with careful planning Inheritance Tax (IHT) is a tax that can often be minimised or avoided entirely. 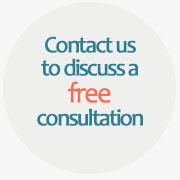 We have an experienced trust and tax department offering comprehensive advice on IHT. Whilst it is not possible to retain an interest in an asset if IHT is to be avoided, ongoing control can often be maintained through a trust. If assets are gifted absolutely however and without reservation, provided a period of seven years is survived thereafter, there is progressive relief from IHT from three years onwards. Further even if a three year period is not served, if an asset which can be expected to grow significantly in value is gifted, any claw back of the asset for Inheritance Tax purposes will be at the value when it was gifted. There can still be a saving in gifting out future potential growth from the donor’s personal estate. For advice on IHT matters, please call our 52 North Street office in Chichester or to find out more about our team click through to the staff profile pages featured on the right hand side.